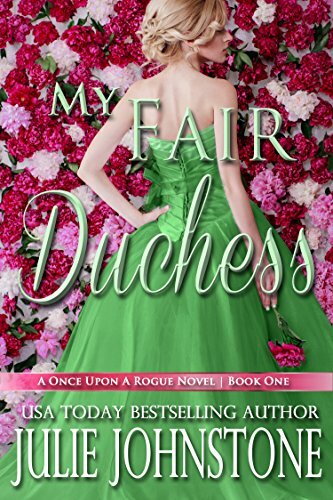 After years of playing the rake to hide a dark family secret, the Duke of Aversley feels tainted beyond redemption and cynical beyond repair. Never does he imagine hope will come in the form of a quirky, quick-witted lady determined to win the heart of another gentleman.Thanks to a painfully awkward past, Lady Amelia De Vere long ago relinquished the notion she was a flower that had yet to blossom. But when her family faces financial ruin and the man she has always loved is on the verge of marrying another, she’ll try anything to transform herself to capture her childhood love and save her family?including agreeing to participate in a bet between her brother and the notorious, dangerously handsome Duke Of Aversley.Bound by the bet, Amelia and Aversley discover unexpected understanding and passion beyond their wildest dreams, if only they can let go of their pride, put trust in each other and chance losing their hearts. $11.99 $0.99 Buy 91% Off!